The world was dark when Uncle’s stick came rattling at the door. Forced up from the depths of sleep, Ebenezer broke the surface of his dream and rolled to his feet before the man could whip him awake. He followed the line of boys out of the grimy compound and down to the water’s edge; their slender shoulders ropy with muscle beneath thin t-shirts; their eyes already on the dark lake. 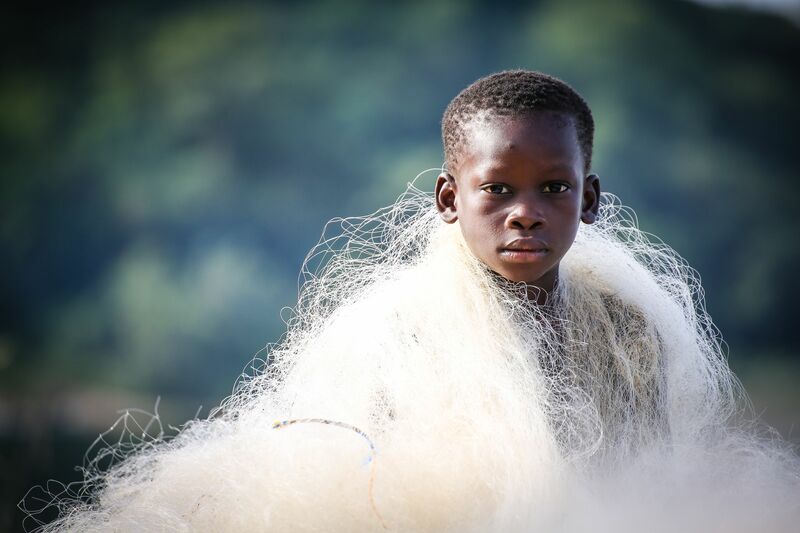 They pushed the boats out on the black surface: long, heavy canoes that rocked as the boys scrambled aboard to perch like birds among the nets and buckets of bait. As the engine coughed to life, the stink of diesel and fish blood stuck in Ebenezer’s nostrils. He closed his eyes. It seemed forever since he had seen his grandmother. 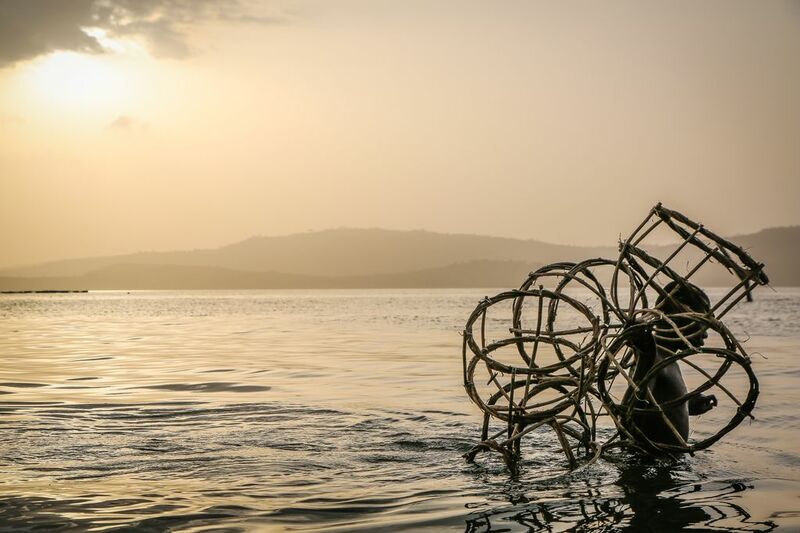 One of the largest human-made lakes in the world, Lake Volta stretches for 8,500 square kilometres across Ghana, West Africa. It is the source of life for scores of small settlements that cluster at its banks. 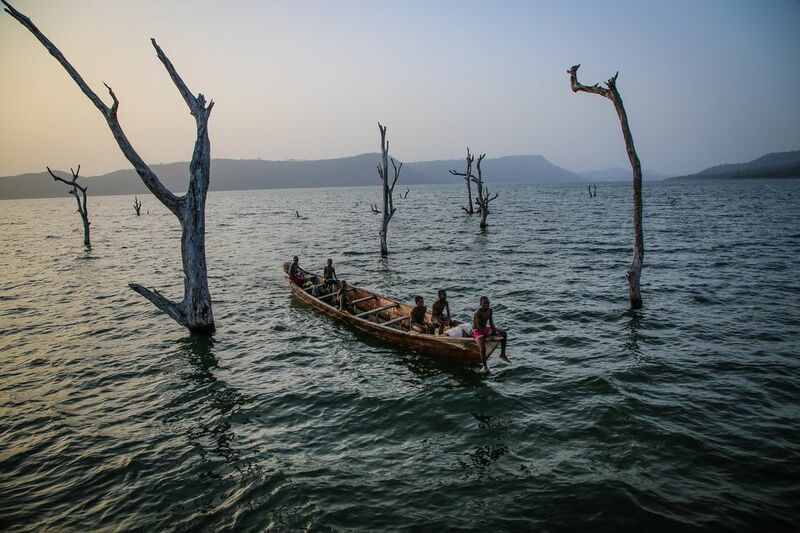 But it’s also one of the most dangerous lakes in Africa. 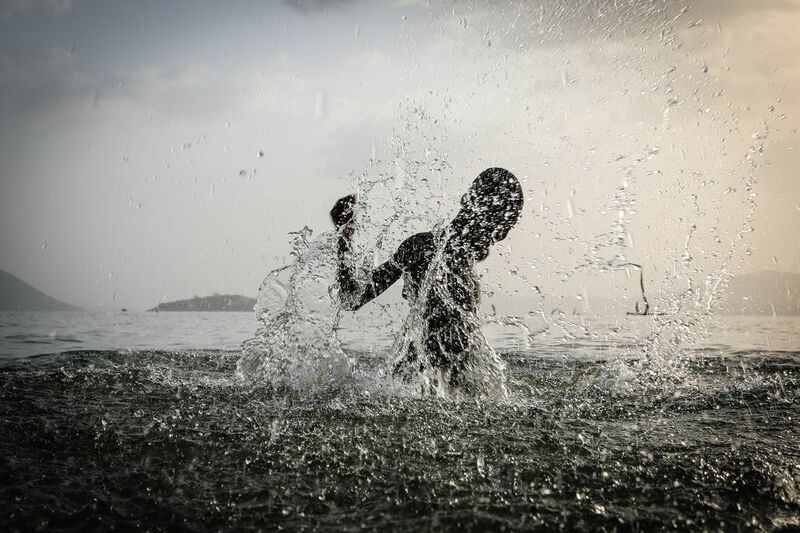 Some estimate that more than 49,000 children work as slaves on the lake. 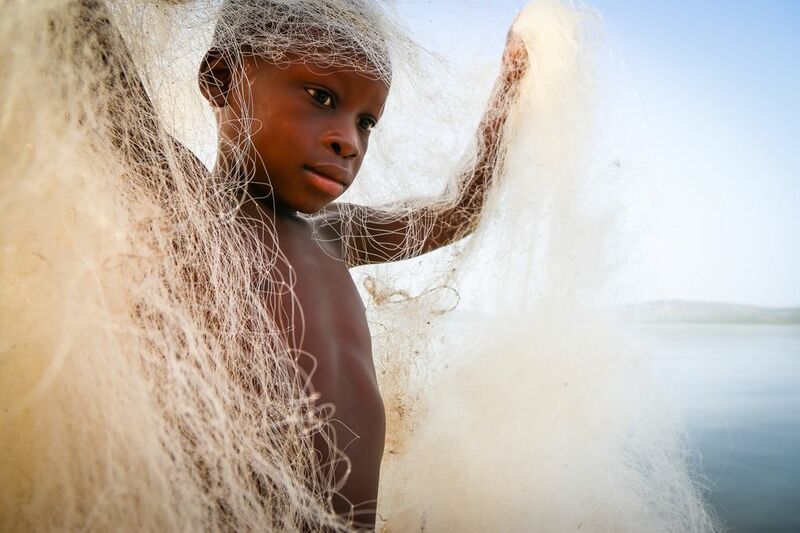 Lake Volta’s fishing industry is built on the backs of vulnerable children, most of whom are younger than 10. Ebenezer was six years old when a strange man appeared at his grandmother’s house in New Ningo. “Call me Uncle,” he said, but he was no uncle the boy had ever seen. He was full of promises, this man. Promises of income, opportunity and regular meals. He smiled too easily and shook his grandmother’s hand too hard. His arm, draped around Ebenezer’s shoulders, was an iron chain. “You will see her soon,” he promised, when the boy looked back. His promise was as empty as his smile. For three years, Ebenezer worked the lake—rising before the dawn, falling into sleep in the small hours. Every part of his world rocked with the rhythm of the water. He cast the nets and heaved them in until his shoulders burned and his hands cracked and bled. The men who had created the lake had drowned a forest. When the dead trees’ fingers snagged the nets, Ebenezer was forced to drop into the murky water to untangle the rope. As he fumbled in the dark—eyes stinging, lungs burning, panic rising in his gut—he prayed he would find his way back up, would breathe again. That God would let him survive where so many others had not. As the months fogged with exhaustion and slipped away from Ebenezer, he prayed for deliverance. For Ebenezer’s grandmother, Comfort, options were limited and every choice loaded with consequence. Ebenezer was newly orphaned when Comfort came to his house and gathered him up. His mother, Comfort’s daughter, had died not long after his birth. It was another mouth to feed, but what else could she do? When a relative visited years later and offered to take three of the children to work on his fishing boat, she was torn. They were so young. They belonged in a classroom, not on a boat risking their lives for another man’s fish. But they would have something to eat, and somewhere to sleep, and she would have a little more to care for the children who remained with her. Most caregivers who entrust their children to the lake’s embrace believe that they will be cared for and live in decent conditions. Trafficking is illegal in Ghana. But on the water, there is no law. Children are routinely beaten with paddles, heavy ropes and electrical cables. Many have spoken about sleep deprivation, malnutrition, sexual abuse and grievous injuries. They give dark testimonies of witnessing unspeakable crimes. They are deprived of medical attention, education and recreation. There is no other word. They are slaves. Comfort’s fear for her grandchildren wouldn’t let her rest. As the months stretched into years, her doubts about the children’s safety grew. She was plagued by the worry that she had made the wrong decision and that her grandchildren would be better off at home with her. 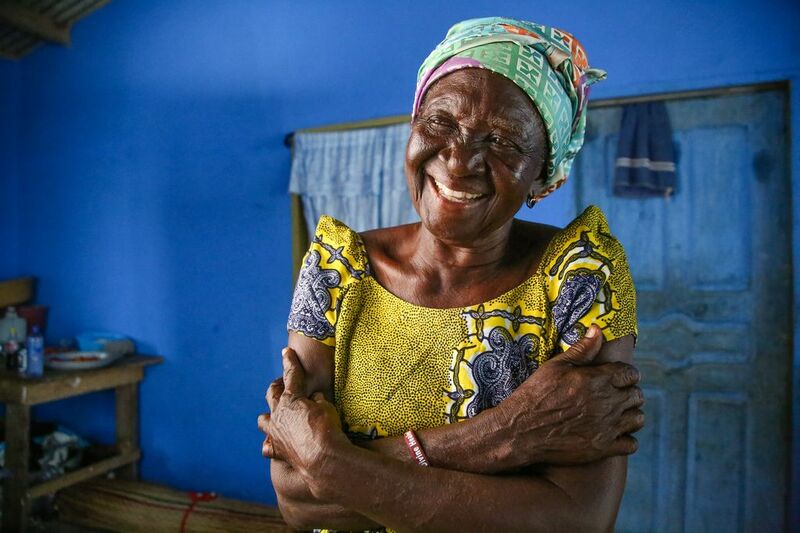 “One day before I went to sleep, I was praying and reflecting, when the thought just hit me: ‘I did not go to school; why then will I allow my grandchildren also to be in Akosombo without going to school?’ So I went to bring them back,” says Comfort. When she spoke with Henry, he explained that Ebenezer and his cousins could receive support through the local church and the Compassion centre. Spurred by a fresh hope, Comfort enlisted Henry’s help and set out for the lake to save Ebenezer and his cousins. When Comfort tracked her grandson down, she wept with relief that he was still alive. When she learned of the abuse and despair he’d suffered, she wept again. With Henry’s support, she negotiated Ebenezer’s release. 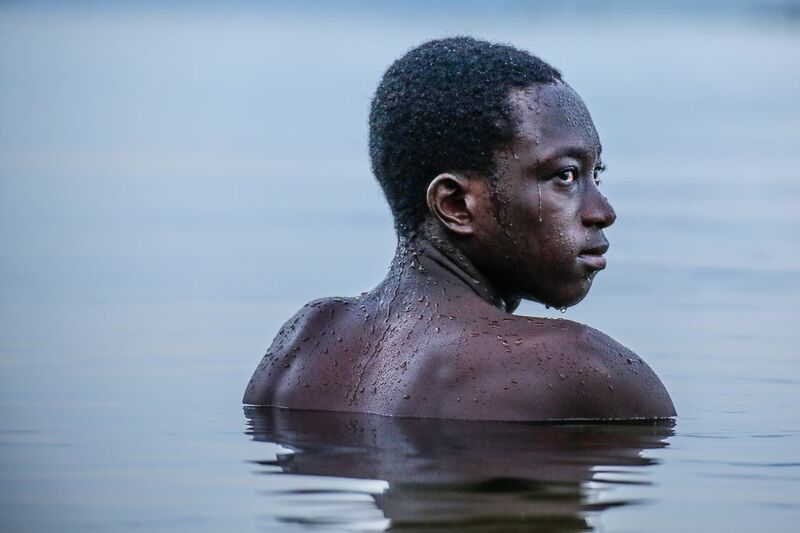 For more than three years on the boat, for thousands of hours of labour and heartache, for over a quarter of his life to that point, Ebenezer was paid US$50. He suffered through great trauma but survived. In the years since he left the lake, Ebenezer has been registered with the Compassion program, protected by his grandmother, nurtured by the love of his local church, and encouraged by his sponsor, Daniel. Now in the final years of high school, Ebenezer hopes to become a mechanical engineer to provide for his grandmother who never gave up on him. “I have suffered enough in my life and so I don’t want my family or my children to suffer. I want them to acquire some knowledge so they can lead a better life,” he says. Henry continues the fight against trafficking to this day. 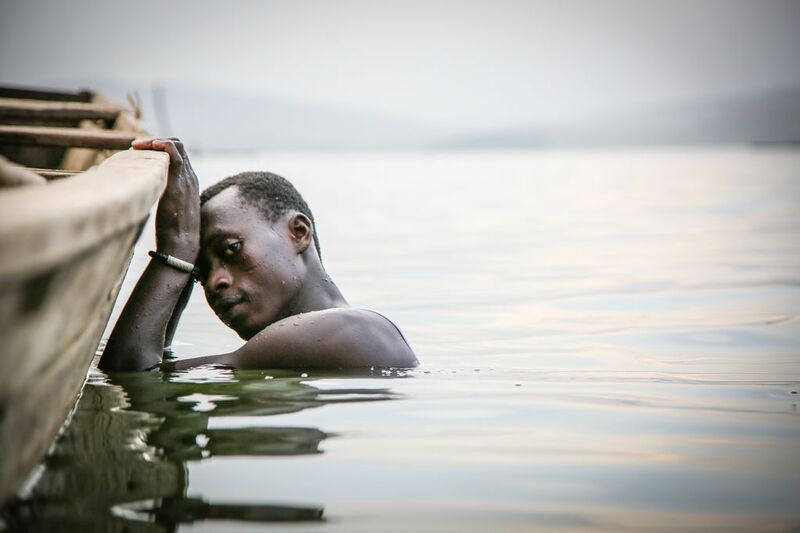 He travels far and wide to educate parents and community leaders about the brutal reality of life on Lake Volta and the coercive methods traffickers use to prey on the innocent. 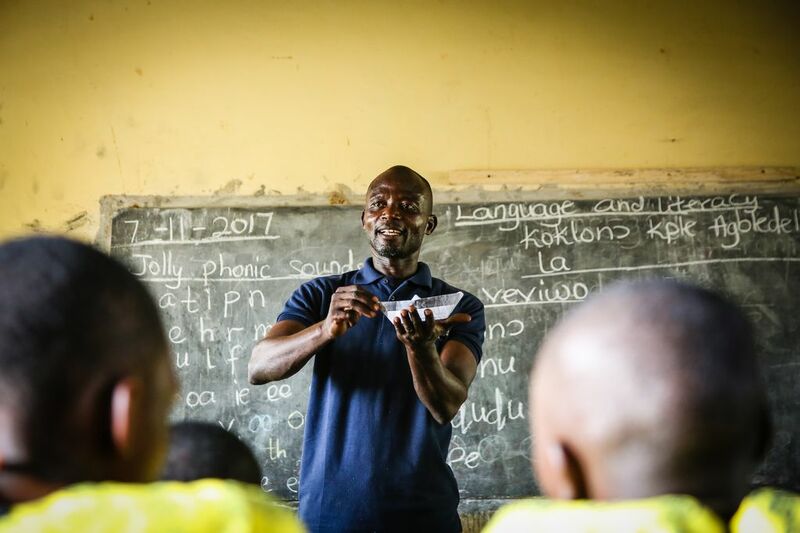 Some of his most important work is done at the Compassion centre, where he teaches children to know their rights and to recognize the risks of strangers or family members who try to persuade them they will have a better life on the boats. “It is the right of children to be protected,” says Henry. “More children need to be sponsored so that we can empower [them]—and they, in turn, can impact others all over the country. God has been at work in a HUGE way at Lake Volta! According to Ghana Business News, child trafficking in the Volta region has reduced by 89.5% in 2018. The source of this drastic decrease is reported to be because of the efforts of NGOs working together with civil society groups to have victims rescues and traffickers prosecuted. There has been a massive increase of communication engagements, radio shows and campaigns to raise awareness of this massive trafficking injustice. What a beautiful reminder that your support, prayers and advocacy really do make real change. Do you want to be part of preventing human trafficking? 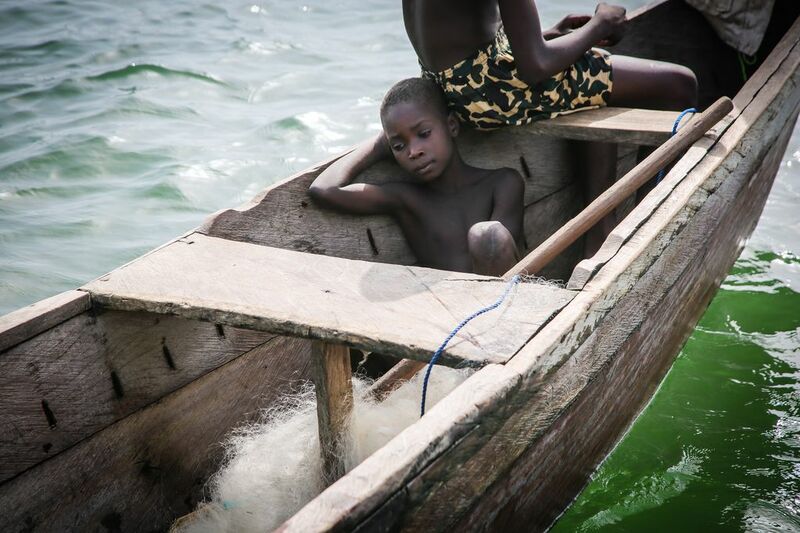 By Richard Miller; Photos by Helen Manson; please note: The children pictured do not work in the fishing industry; they recreated scenes of life on Lake Volta willingly and with permission. A version of this article was originally published by Compassion Australia.